Armenians had and still have a prominent place in world history. Armenia has given the world many talented military and political figures, as well as celebrities in the field of culture, sports, business, etc. Very often we find out that this or that world celebrity is of Armenian origin. ''Armedia'' IAA is presentd a series of articles on the life and professional activities of high-ranking Armenian military servicemen who served in the armed forces of other countries. Thus we present the history of the success of the outstanding soldiers with Armenian origin: Sergei Avakyants, Hayk Shekerdzhyan, Steve Derunyan. He was born on May 6, 1957 in the city of Yerevan, Armenian SSR. In 1980 he graduated from the Black Sea Higher Naval School named after P.S. Nakhimov, later the Naval Academy named after the Admiral of the Fleet of the Soviet Union N.G. Kuznetsov and the Military Academy of the General Staff of the Armed Forces of the Russian Federation. In 1980-1990 Sergei Avakyants served in the Northern Fleet as commander of the anti-aircraft missile division of the missile artillery warhead, commander of the anti-aircraft missile battalion of the missile and artillery warhead, assistant commander and senior assistant commander of the large anti-submarine ship Admiral Yumashev. On August 25, 2010, Sergei Avakyants was appointed First Deputy Commander of the Pacific Fleet of the Russian Navy. On May 3, 2012, by presidential decree of Dmitry Medvedev, Admiral Sergei Avakyants was appointed commander of the Russian Pacific Fleet. Avakyants was awarded the Order "For Military Merit", "For Service in the Armed Forces of the USSR" III degree. He was born on June 13, 1886 in the city of Izmir (Western Armenia, occupied by the Turks). He was only 5 years old when the family moved to the United States. In 1911, Hayk graduated with honors from the military academy of West Point. From April 1916 to February 1917 Shekerdzhyan, led by General John Pershing, participated in the punitive expedition of the US armed forces against Pancho Villa in Mexico. During the First World War, he served as assistant military attache in Greece. In 1916 he became one of the main persons who participated in the creation of the Armenian Legion of France, which participated in military operations in the Middle East. 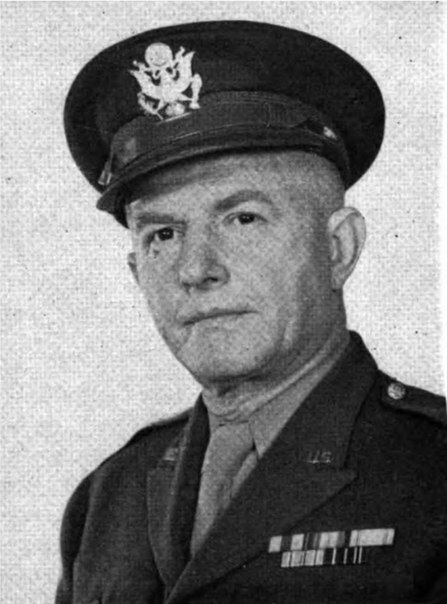 By the order of President Roosevelt in 1942, Shekerjian became a brigadier general of the US Army, the first Armenian to receive this post. He was born on April 6, 1918 in the city of Sofia, Bulgaria, in the family of Poghos and Eliza Derunyan, who managed to escape during the Armenian Genocide of 1915-1923. In 1923, the Derunyan family moved to the United States. In 1942 he graduated with honors from the School of Public Administration at Columbia University. In the same year, Steve Derunyan was admitted to the Advocates Palace of New York, but the war suspended his career. Steve, like hundreds of young Armenians, signed up as a volunteer. In the rank of captain, he was sent to France, where the second front was opened. At the front, Steve Derunyan commanded the 327th Infantry Regiment, which made an invaluable contribution to the liberation of occupied Paris. For the brilliantly conducted operation, Steve Derunyan, became the first Armenian to receive the highest military award of the United States, the Purple Heart. Upon his return to the United States, in April 1946, Derunyan was also awarded with the Bronze Star. 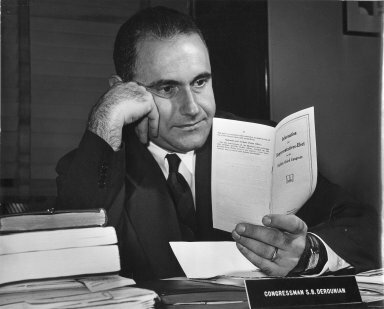 In 1963, Derunyan was elected as a member of the House of Representatives from the State of New York. The Day of Armenian Army Formation: Congratulations, Armenian Soldier!